We have all heard of some of the greatest value investors of all time. Some of them include Walter Schloss, Irving Kahn, Ken Fisher, and David Dodd. Oh yes, and how can we forget the legendary Warren Buffett as well. All of these men shared the same passion and found adequate resources and time to accomplish their own investing goals. All of these men shared one specific gift, they all believed heavily in a teacher named Benjamin Graham. Graham introduced the investment paradigm of value investing. Pretty much, it meant that an individual can purchase an equity for a “discounted price”. The end result would be the value of the equity slowly increasing over time. Graham introduced various different fundamental analysis measurements in order to obtain enough information about a certain equity. As of today, Warren Buffett, the CEO of Berkshire Hathaway has amassed an unprecedented fortune by implemented the exact strategy that Graham taught while Buffett was in college. Over the years, many investors flocked to Warren Buffet for investment advice and attempted to replicate his conglomerate Berkshire Hathaway. Some were successful and others were not as lucky as Buffett. However, there is another man out there that tried to duplicate Buffet and did a pretty good job at it. He is not American and he did not inherent money at a young age. Nor did he know anything about investing until he started to study it in college. His name is Stephen Jarislowsky. Jarislowsky is a Canadian self-made billionaire. He was born in Germany and then moved to the United States in his teen years. Jarislowsky was originally trained as an engineer and later served in World War II. After the war he obtained an MA in Asian studies and later received his MBA from Harvard University. Jarislowsky later moved to Montreal, Canada where he worked as an engineer for Alcan Aluminum. All this time, he invested his hard earned money into American and Canadian companies. Most of his investing began right after World War II. Jarislowsky implemented a conservative, long-term strategy built around the ideas of value investing. In 1955, he began a firm called Jarislowsky, Fraser & Company Limited. This Montreal-based investment firm managed money and heavily invested in Blue Chip American and Canadian companies. As of today, Jarislowsky, Fraser & Company Limited is one of the most reputable and prestigious investment firms in Canada. Canadians gave Jarislowsky the nickname “The Canadian Warren Buffet”. Jarislowsky is a huge supporter of dividend based stocks and religiously sticks to fundamental anlayisis. His firm has major holdings in many oil companies, banks, and consumer staple manufacturers. 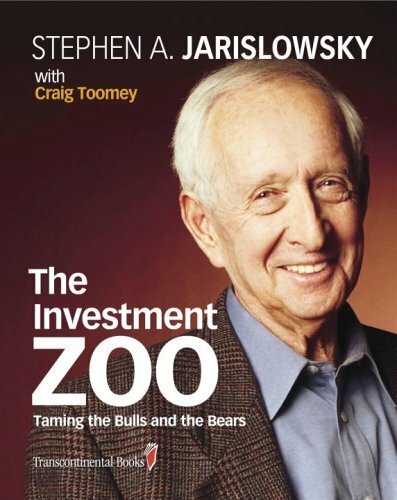 Jarislowsky may not be a household name when speaking about value investing, but he sure is one of the best out there.